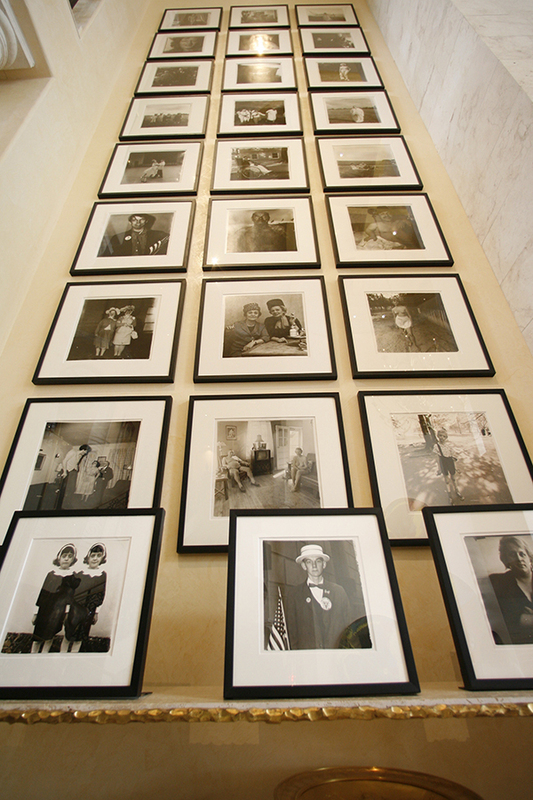 Leland’s collection of 28 Diane Arbus photographs (1962-1971) along a 40 foot wall in his home. Working with her husband, Diane Arbus started out in advertising and fashion photography. She and Allan became quite a successful team, with photographs appearing in such magazines as Vogue. In the late 1950s, she began to focus on her own photography. To further her art, Arbus studied with photographer Lisette Model around this time. By the mid-1960s, Diane Arbus had become a well-established photographer, participating in shows at the Museum of Modern Art in New York City, among other places. She was known for going to great lengths to get the shots she wanted. She became friends with many other famous photographers, including Richard Avedon and Walker Evans.